At Questor Insurance we know how important it is to choose the right holiday for the whole family, that’s right we mean your fury friends as well. For pet fanatics going on holiday without your beloved cat or dog can be heart breaking, and quite honestly it’s no fun without them. That’s why we have put together a list of pet perfect destinations. The UK is one of the best places to take a pet on holiday, there are no long flights, a selection of pet friendly accommodation and your pet won’t require extra inoculations or a passport. When it comes to holidaying with your pet in the UK there are a large range of accommodation options available including hotels, caravans, cottages and apartments. An example of a holiday company which welcomes dogs during your stay is Centre Parcs, you can choose from 5 locations around the UK all boasting a wide range of activities such as cycling, swimming, walking, clay pigeon shooting and tennis. Why should only you have all the fun travelling the world when there are many places across Europe which welcome holidaying pets? Choosing a destination in Europe can come with reduced travel stress, as the travel time is often shorter and there are many travel options available. If you or your pet aren’t keen on flying you can always choose to travel via ferry. Brittany Ferries help by packaging pet friendly holidays in France, Portugal and Spain. Traveling to America? There are many pet friendly hotels which you can book while traveling around America. Our favourites are the Kimpton Hotels which welcome pets of all sizes for no extra charge in there boutique hotels across 32 city’s. When bringing a pet to a Kimpton Hotel a pet bed and feeding bowls are provided as standard, you will also be surprised to find pet snacks available around the hotel. If you can’t find a pet friendly hotel at your desired destination you can always get back to nature and camp. This way you will be able to do all the fun activities you have planned without having to ditch your 4 legged friend. 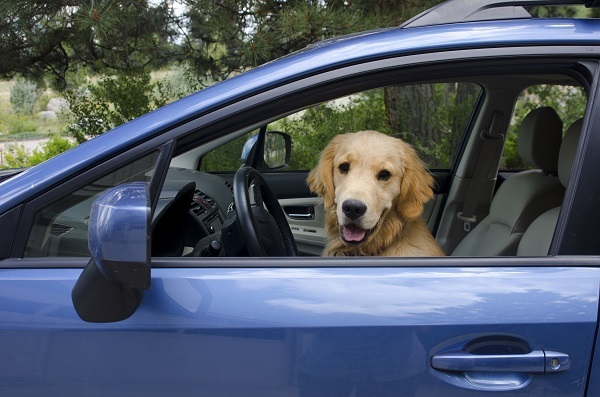 Travelling with a pet can be rewarding but doesn’t come without its stresses, take a look below for our top pet travel tips. Questor Insurance standard travel insurance includes pet care up to the value of £300, covering injury, illness and additional boarding or kennelling expenses incurred due to a delay on your planned return home. For more information or a quote on our travel insurance click here or contact us on 0333 323 0090 to speak to a member of the team. *Please note travelling pets must fully comply with immigration and inoculation guidelines.